here is a lo I did of me and my husband and his brother and his wife.. I distressed the edges of the paper around the photos. I added some ribbon around the the paper. and added a greenery. I cut a vine out using the joys of the season cartridge, added some flowers and stickles. I distressed the paper and then I used a mask to get the vine look to it. I painted the chip board and then lightly stamped over the letters. i really like how this looks. so I am sure most of you already use tim holtz products, well I am now a big fan of TIM HOLTZ PRODUCTS. i have been seeing for a long time now everyone using distress and thought to myself it looked hard so i have stayed away from it.. But recently saw a couple videos on his website and thought i would give it a try so i went out today and got a few things... wish me luck... i will post as soon as i get some lo's done...I am gonna play around on (sunday)... I have a crazy work sch. this week so i am not sure if i will get any done this week. I stamped a vine, and painted the chipboard flowers, then added some stickles on the tips of the flowers and the vines. The flowers are cut using the circut and painted using making memories paint and I used stickles on the tips of the flowers to give it a lil bling. For the center of the flower I used a large rhinestone flower. The vine was cut out using the circut. I painted the chip board letters in black using MM paint then added Martha Stewart glitter. Here is the 2nd page of FAMILY TIES (side by side page). The paper is by colorbok. I did the same design as above. I wanted to use 3 pics for each page but i liked it the way it looked with one pic instead. Here i painted the letters in green MM paint and added Martha Stewart glitter. I made these invitations for a friend of mine. 2 of her kids birthdays are close so she is combining their birthday parties and being that it is near St. Patricks day she wanted it to be St Patricks day invitations. I don't do cards very well but thought i would give it a shot.. Once i had 1 done i just cut everything up and put it a side and then just made them like an assembly line... it was fun.. I typed the sayings on the computer and printed them on velum paper, used some St Patricks stickers, cut the balloons with the circuit and brushed yellow and orange stickles on the, then tied yellow ribbon around the side. On this one i used hay like ribbon instead of the yellow. Here the flowers up close I did 4 layers of flowers, I cut them out with the GRAPHICALLY SPEAKING cricut cartridge. sizes,4,3,21/2 and 2. I used fruit punch and orange peal stickles. I added a flower rhinestone in the center. Here I used BASIC GREY for the stem of the flower, I added some other flowers that i had to add to the stem. I also added some rhinestones around on the page. I included the word LOVE. The letter O is a size 1 flower, I painted it with MAKING MEMORIES YELLOW PAINT, then i sprinkled MAKING MEMORIES BUTTERCUP SHIMMER GLITTER on top. Here is a LO it is called WAITING because when i got up the kids were sitting on top of the stairs waiting to run down the stairs how cute. I cut out the tree and vines using the circuit. Ok so the shopping is done and i am finally starting to scrap. wow it has been a while i need to back in the swing of things. These pages aren't my best work but it is a start. This is a LO of my daughter opening her gifts on Christmas morning. I used stamps to stamp the vine for the flower. I cut out the boxes using joys of the season. Here is a page I made last nite.. I am making an album for myself of our Christmas 2008.. Lots of pics on this one..I wanted to show to focus on all the kids on this one(they are all cousins) I put a pic featuring all of them 2-gether then wallet size of each of them.. I finally caught the paper sale at Joann's actually 185 sheets of paper..I needed paper bad. so now I should be stocked up for a while.. wait what am I sayin a sraper can never have enough paper I am sure all of you agree. While I was at Joann's I picked up a few other items but I was on a paper mission. I PICKED UP THESE 2 PACKS OF STICKERS, I LOVE KANDCOMPANY STICKERS SO I GOT THE X-MAS SET AND I SAW PHRASES ABOUT SCRAPERS I COULDN'T PASS THEM BY. I PICKED UP 3 CLEAR STAMP SETS AND A CLEAR STAMP BLOCK. ALSO 2 INK PADS GREEN AND BLACK NOT SHOWN IN THIS PIC. I PICKED UP THESE CUTE GLITTERY LETTERS AND A BUTTERFLY AND WHALE.. I WILL FIGURE SOMETHING TO USE WITH THEM..
Ok now that I have my shopping done it is time to get busy.. I did a lo out today, WOW it has been a like a month since I did lo's. I will post pics later. Hope you all had a good Valentines day. Perfect time right on my Birthday! I made a couple birthday cards. I am not that good at card making, I'd rather make scrap pages, but on occasion I do make cards. There are 3 of us with birthdays this week so on Friday we (the 3 of us) are celebrating our birthdays so I made cards to go with the gifts.. I went to Micheal's today and picked up a few things. They had this ribbon for $1 each. How could i pass that sale up.. here is the ribbon I picked up. I got 4 x-mas ones and a couple spring ones. While I was there I picked up 3 jars of prima flowers I have a bunch of these i love the colors.. They had these other flowers (don't remember the brand) they looked old fashioned, but they were $5 for 3 flowers i thought they were pricey so i passed on those but i so wanted them.. 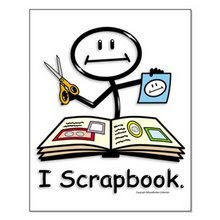 If you haven't gone over to scrapbook.com you should go right now. I love to shop there, and I get the order so quick. So here a few things i got over there. Here are some basic grey rub ons I love their product line, i also bought some basic grey buttons not shown in these photos. My new addiction (sticklers) I know I am a little behind. SO I bought 12. Did I mention I love sticklers!!! I have been reorganizing my scrap room. I went and bought some storage things, which has helped alot. I went thru all my scrap stuff and wow I didn't realize how much older scrap stuff I still have. It has been hiding under all the newer stuff so i decided to start using some of my older stuff 1st, so I don't feel like it is going to waste... but it is fun to get new stuff. Here is a pic of a 7 drawer storage, I bought at walmart, both of them are full. Here is a 12x12 3 drawer storage. I put some of my paper in it. I think i will get another one. i put it on my table I like how it is right at my reach...i also got this at walmart.